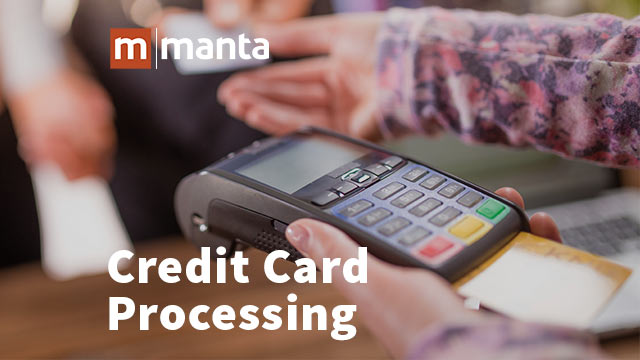 Attend this Manta Trends webinar to cut through the financial jargon and learn how to find the best merchant processing solution for your small business at the best price. How can small business show up in local search results? Andrew Shotland of Local SEO Guide will walk you through the results of one of the largest-ever statistical studies of the local search ranking factors. Learn which tactics really matter, so you know how you and your team should spend your resources. How can small businesses with modest marketing budgets can stand out and during the holidays? Ivana Taylor of DIY Marketers shares her best tips and tools for connecting with stressed, distracted customers during the busy holiday season. Take control of your personal and business finances in five steps with expert advice from small business consultant and personal finance coach Andrea Travillian. Search engine marketing (also known as paid search) allows you to target potential customers at the moment they're searching for a business just like yours. But if you want to make the most of your SEM campaign, you'll need to learn some tricks first. Attend this Manta Trends webinar to learn how to get the most bang for your SEM buck. Learn how your small business can make positive change while still turning a profit in this educational presentation. Guest expert Neetal Parekh of Innov8social will cover five things every business owner should know about social enterprise, including legal structures, business models and funding opportunities. Struggling with social media marketing? It can be overwhelming for the busy small business owner. But social media is a great way to connect with customers and keep them coming back.This webinar will cover five effective strategies that are easy to implement with limited time and a small budget. Do you worry about the impact of negative online reviews on your small business? Attend this webinar to stop worrying and start using the power of online reviews to boost your business. You will learn how to track reviews, respond to negative ones and how to encourage positive feedback from happy customers. Starting in December, employers will have to comply with the updated Fair Labor Standards Act, which raises the salary threshold for overtime-exempt employees from $23,660 to $47,476 annually. How will this new rule affect small business payrolls? This webinar will help small business owners understand the new rules and share practical steps to prepare for the change. Manta joins forces with "SmallBizLady" Melinda Emerson for this webinar on how to build a successful small business. Retirement may seem like a distant reality, but many small business owners wait until it's too late to successfully transfer their company to the next generation. Succession planning is a process that involves much more than just transfer of ownership, and it only becomes more complicated when you add family dynamics to the mix. Join this Manta Experts webinar to learn why so many family businesses fail when it's time to transfer operations, and what you can do to create a succession plan that works. Google's local search updates are a huge boon to small businesses—if you know how to take advantage of them. During this Manta Trends webcast, learn about the latest trends in local search and what small businesses can do to improve their local ranking. When customers search for information and services online, is your business among the top results? Online visibility is an important way to win new customers, and a good search engine optimization (SEO) strategy can help boost your ranking on Google. Join this MantaExperts webinar to learn how good SEO can generate high-quality leads for your business and get practical advice on using SEO tactics to improve your search ranking. Next-level mobile: Is it time for your business to build an app? Ways your business is already using mobile marketing and how to make the most of it. Growth is essential to the success of your small business, but it's important to understand what type of growth would benefit your business most, and how to handle the logistics. Join the third MantaTrends webcast in a series of three on small business growth and taxes. This 15-minutes webcast will focus on what you need to know about adding another location. Join the second MantaTrends webcast in a series of three on small business growth and taxes. This 15-minutes webcast will focus on what you need to know about expanding into eCommerce, including tips on creating an easy-to-use, secure shopping cart experience. Join the first MantaTrends webcast in a series of three on small businesses growth and taxes. This 15-minute webcast focuses on how to develop new products and services, and the tax implications. While the phrase “sales tax preparation” may make you cringe, taxes are a necessary aspect of small business ownership. With more than 15,000 taxing jurisdictions across the nation, sales tax rules vary widely and are incredibility complex. Guest expert Dave Hunt is a regional manager with Avalara, where he specializes in helping small businesses with sales and use tax compliance, returns management and 1099 compliance. Get empowered with knowledge about sales tax preparation during the Manta Small Business Expert Webinar on the topic, so you can spend more time on revenue-generating tasks and less on weeding through tax red tape. The place for small business. Manta’s free small business webinars include insight, ideas, actionable advice and the opportunity to learn from industry leaders and experts.